The phone call is the first communication channel introduced with the invention of the landline. With advancement in technology, we have moved to the smartphone which also provided us many other channels to communicate with long distance buddies. But calls are always the integral part to make any conversation effective. No other channel can take the place of communication over a call. Calls help you to connect faster and also make our conversation better. Being on call, you can make others understand what you are talking in the better way as compared to texting or email. Typical questions that arise in customer’s mind while initiating the call are how much it will cost, and for how long how long they can continue the call. A good phone call not only depends on people but also their network providers. How much a telecom company charge per call?? What is the voice quality?? How effective are the bundles?? All these questions are important to ask before choosing a network. Different telecom companies are competing hard to get the attention of customers. Telenor Pakistan is also trying their best to give customers what they want and need. They always come up with incredible call packages to provide maximum benefit to their customers. Customers always appreciate the bundle which gives them maximum calling minutes at lowest possible rates. 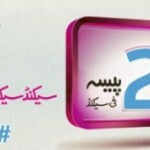 Telenor has introduced 24 hr Poora Pakistan offer to make the call on any Telenor number for 24 hours. You can now call unlimited to any Telenor number for a whole day with 24 hr Poora Pakistan offer at just Rs 16.73 including tax. By paying once, you can have endless talk time. Call set up charges is included, but no extra deduction is included. To activate the 24 hr Poora Pakistan offers just dial *345*24# from your Telenor connection. Your subscription will be confirmed by a verification message. Telenor is giving you free calling minutes to enjoy your conversation to any Telenor number for a whole day with affordability. At first, the incentives of the 24 hr Poora Pakistan offer are different. But now Telenor is providing you 75 on-net minutes. Only Telenor customers who are on Telenor Economy package can subscribe to Poora Pakistan offer. The offer is valid for a day. You can make calls till midnight, i.e., 12 am of the subscription day. Call setup charges of Rs 0.12 plus tax will apply to each call. You can make calls only from Telenor to Telenor. You can subscribe the offer again after the expiration of the offer. 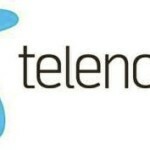 Telenor can withdraw or change the incentives and rates of offer any time. FED taxes will apply on recharge and other usages on the regional basis. If you are looking for a bundle that can give you maximum talk time by paying less, then subscribe to 24 hr Poora Pakistan offer. This offer gives you all that is needed to make communication effective over a call.